A leader at school and in her community, high school senior Eleanor Asma of Lake Bluff, Illinois, says she is happiest “anywhere near a mountain.” Reflecting on her Wind River Wilderness course, she highlights the importance of teamwork to her group’s success in the face of adverse weather conditions. 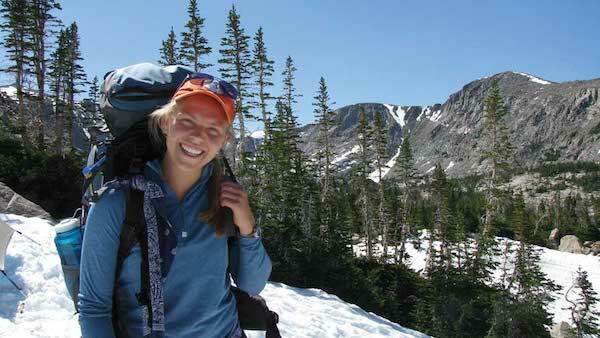 Eleanor plans to continue her outdoor education with a Wilderness First Responder course this summer. Today, the “survival holiday” concept is all the rage with vacationers looking for outdoor adventure and a true break from digital media, but why go far away when Wind River Country has so much to offer? The Wind River Visitors Council recommends NOLS Wind River Wilderness courses as a top “survival holiday” option close to home. Struggling to find direction in college, NOLS grad Will Black sought a different kind of education, one that would ultimately help him regain focus in school, learn invaluable leadership skills, and find solace in the wilderness. Most importantly, Will realized that, "Be it in the forests, on a glacier, or back in a classroom, I feel like there's no situation I can't handle since my gap year."